This week is to remind us that some of the most dangerous and sometimes deadliest items in our homes are hiding in plain sight. Take a peek under your kitchen sink or in your laundry room (don’t forget the medicine cabinet). Household cleaning agents, prescription medications, pesticides, and other items can pose serious hazards to the health and well-being of our families and to our furry friends. Spring is approaching, so there are numerous things to keep in mind to help prevent accidental poisonings. These simple tips can keep your family safe as you begin spring cleaning and working in your yard. But first, here are some interesting facts. On September 26, 1961, the United States Congress passed a joint resolution, requesting that the President of the United States proclaim the third week of March National Poison Prevention Week. On February 7, 1962, President John F. Kennedy responded to this request and proclaimed the third week of March as National Poison Prevention Week. More than two million potential poison exposures are reported every year to American Poison Control Centers. More than 90% of these poisoning occur in the home, and a majority of these occur with children 5 years of age and younger. 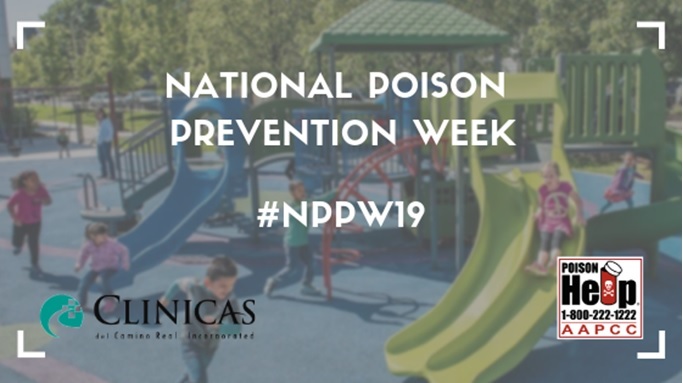 Although children younger than 6 years accounted for about half of all the poison exposure calls to the poison center in 2010, adults accounted for 92 percent of all poison-related deaths reported to poison centers. Poisoning of adults is on the rise in our nation and it now stands behind motor vehicle accidents as the leading cause of unintentional injury deaths. The Consumer Product Safety Commission warns that 9 out of 10 unintentional child poisonings happen in the home. Poison Prevention Week gives us the tools to make sure our children don't become another statistic. It's easy to become overwhelmed by all the warning labels affixed to the products we bring into our homes. Poison Prevention Week inspires us to learn the basics and to continuously update our knowledge with the latest info. Parents play a critical role in helping their teens learn about the responsible use of OTC (over-the-counter) medicines. Encourage your friends and family to take the steps below to prevent poisonings. Practice safe storage habits. Always store medicines and hazardous substances up, away, and out of sight of children. Keep these substances in their original, child-resistant containers. Read and follow all labels and directions. Review medicine and product labels before you use them, especially before giving medicine to children. Detect invisible threats. Install a carbon monoxide detector (or multiple) in your home.